"it is our hope that you participate in any of our international programs in the nearest future"
Hello, I am Miss Young. Here is another 3,500,000 EUROS that I won. Go to the homepage to see more stories. 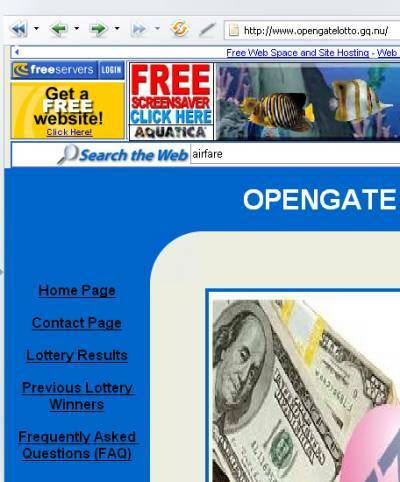 Opengate Lotteries International has just concluded its final draws of it's periodical promotional program.An exclusive list of email addresses of thousands of individual and corporate bodies were picked by automated random computer search from the internet with special concentration on individuals and companies involved in SMALL BUSINESSES. No tickets were sold. Your email address emerged as one of five winners in the "A CATEGORY" as email addresses were soughted, from a total number of 75,000 addresses drawn from all over the globe. After an automated computer ballot of our International Promotions Program, only FIVE winners emerged in this category and therefore each are to receive payouts of 3,500,000 EUROS from the total of 17,500,000 EUROS (SEVENTEEN MILLION, FIVE HUNDRED THOUSAND EUROS). However,every email address selected was accompanied by a reference and ticket number,after the cyber lotto selection,the below ticket and reference numbers emereged as one of the lucky winners in the above category. CONGRATULATIONS!!! We congratulate you once again and it is our hope that you participate in any of our international programs in the nearest future. I write to David Brown to claim my price, but get no answer. 2 days later I write to Margareth, but she doesn't answer either. Hello Ive read your coments online about internet scammers and I think ive come across one of them called, "OPENGATELOTTO" It is urgent that you respond as soon as possible. Opengatelotto is asking for the fee of 950 Euros for the transfer of the money. To me that is a little skeptical and if they were the people that were sending me the money then why dont they just pull it out of my winnings. I requested for my agent Dr. Alex Hilford to send the the emails of the other winners and he did. The prize money is also coming from Madrid, Spain if that means anything. If you could please contact me as soon as possible that would be great because you or me would not want to sit on something of this magnitude, like 4 and a half million dollars LOL. One more thing did you ever win the money from the email that you recieved. The reason being is because the tracking, batch, and lucky numbers are all the same as mine, as the email that I have also recieved and saved. I have also kept all of the emails that they have ever sent me too. If this is not a scam I have till the 2nd of March to send in this transaction fee of 950 Euros [$742] or the 3,500,000 Euros [$4,515,000+] will be considered not claimed. If you would like to have your emails published on my website in order to warn others, then fell free to forward them to me. I will change your name etc to secure your anonymity. EMAIL: opengatelotto1@netscape.net We congratulate you once again and it is our hope that you participate in any of our international programs in the nearest future. As reflected in our first mail to you, the notification was to inform you that you have been selected among lucky winners for a prize money of 3,500,000.00 euros (Three million, five hundred thousand euros only), as the name implies, this is a real OPENGATE to a successful and fulfilled life. 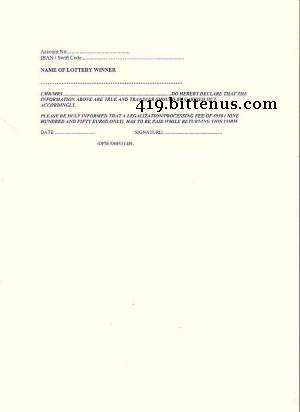 This lottery program has been on-line for so many years till date. 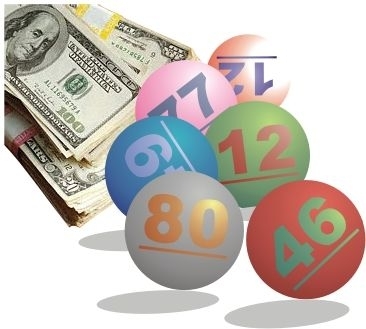 A lot of people have also benefited from it, with winnings ranging from $5,000, $100,000 and more. 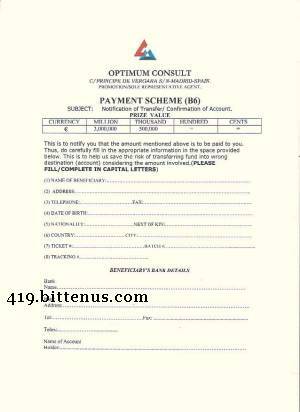 This year`s program has been designed to give out lump sums to fewer individuals and corporate winners. Once these are received, we shall refer you to our claims agent who will process your claims so that your funds can be released to you. We hope that you will have the heart to donate part of this proceeds to Charity. You are adviced to contact him as soon as possible with the tracking number on your prize claim certificate to enable him begin the immediate processing of your claims. This email was quite interesting. I have met Alex Hilford 4 months earlier in the Cyril Fuddey story. The phone- and faxnumbers are identical, but in that story he was a security company called HARBOUR DIPLOMATIC SECURITIES. The homepage shows some pictures of "Previous winners". They have probably won in other lotteries. 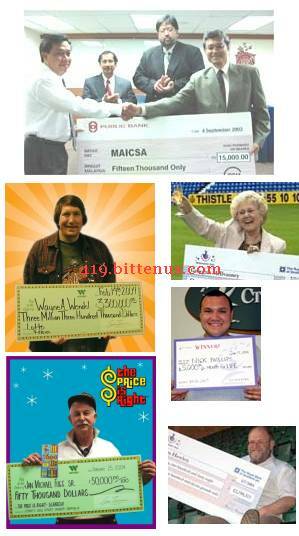 The name "Opengate Lotteries" is not visible in any of the pictures. Kindly fax us the western union receipt to: +34-912-725-059 as soon as you send the fee to enable us start processing of your claims. Note that it shall take twenty four hours to process your claims, legalize and notorize documents in your payment file, after which we shall effect transfer of your prize money accordingly. At this point Mr Green was wise enough to stop. I have also won in other lotteries earlier. Read about my prices in the Miracle Mountain International Email Lottery and the Lottery Winners International.